I am embarking on a personal challenge for the month of April, to try to tweak some of my habits, to be more consistent with my practices. As JJ Virgin always says, “Little hinges swing big doors.” Sometimes those little tweaks make a big difference! As someone who lives with fibromyalgia, consistency is sometimes difficult. What I am able to accomplish often depends on how I am feeling that day, i.e. what my pain and energy levels are. But I have decided that I have to commit to this in order to achieve my goals. You might be thinking that living with a chronic condition is challenging enough. Why add to that burden? Well, I have a few reasons. I have been complaining about the 5-7 lbs. I have gained since last summer. I also had noticed my daily gratitude journal was becoming more like weekly gratitudes. And then there’s my sleep – never quite enough or never the whole night through. The weight, the sleep, and the occasional slips in my diet lead to feeling tired and in pain all the time. And the flares seem to take longer to recover from as I get older. So I am hoping that resetting these things will help. This might be a big undertaking, but I am going to focus on: yoga, diet, sleep, and daily gratitude this month. And what better way to hold myself accountable than by blogging about it with my weekly progress. After all, you are more likely to achieve your goals and dreams if you write them down. So stay tuned the next few weeks for updates on my progress. Do you have some bad habits or issues you would like to work on? Or maybe you have some goals that seem out of reach. Consider putting those goals on paper, and then challenging yourself for 7, 14, or even 30 days. 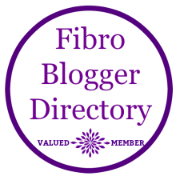 Next Next post: Is it Fibromyalgia or Something Else?